You have almost countless options when it comes to security system installation. One of the most important decisions involves if (and how) you will monitor your system. 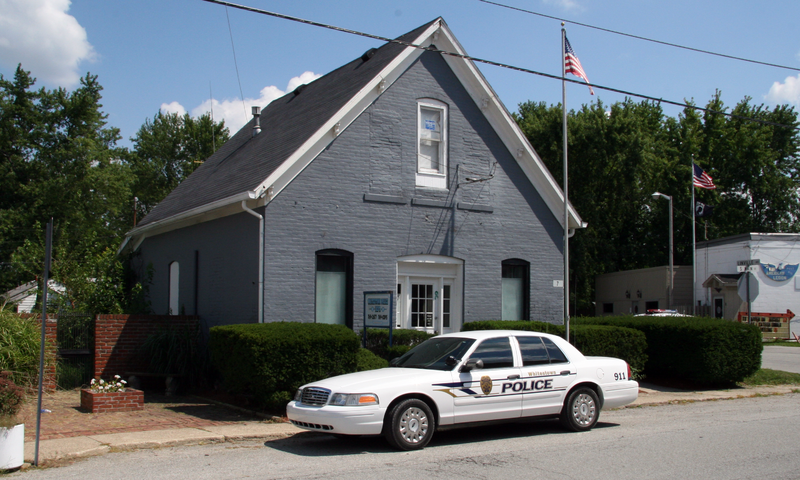 Recently, there has been a lot in the news about cities and towns trying to cut down on false alarms. For an example local to us, the city of Springfield, Massachusetts has started to crack down on false alarms by handing out fines to repeat offenders. Many communities have similar policies in place. For this reason, customers sometimes ask us if security system monitoring is truly a good idea. If your security system calls the police to your home or business without cause on a regular basis, you may end up paying for it. At Northeast Security Solutions, we always recommend adding professional security monitoring to your system. However, customers often have questions about their monitoring options. Truth be told, there are many ways to tackle this task. Of course, safety is a major first priority. At the same time, you must also feel confident that your security system is not going to get you fined or create a hassle for emergency responders. In this post, we will first define and examine security system monitoring. We will then discuss the various options for monitoring your security system, as well as the benefits of each. Finally, we’ll share some ideas for keeping false alarms at bay. Let’s begin by defining security system monitoring. What Does Security System Monitoring Entail? Quite simply, a monitored security system communicates to an outside party when it detects an event with the intention of a response to that event. Customers generally pay a monthly fee for alarm monitoring. Today, we will not dive too deeply into the technologies or methods that security companies use to make this happen. However, in our post about Smart Security System Design, we discuss in detail the actual ways that security systems can communicate alarms or system status updates. While reading this post, knowing that security systems can communicate through an existing phone line or third-party cellular dialer will help you understand the information presented here. What are the Options for Monitoring My Security System? From keeping systems unmonitored to setting up professional security monitoring, you have a few options when installing a security system. You should know the benefits and drawbacks of each before making a decision. Here is a brief rundown of the ways people set their security systems up for monitoring. The most basic option for a security system is for your system to remain unmonitored. When an unmonitored system goes into alarm, the siren sounds, but nobody is notified (other than those that can hear the siren). We call this a “local” security system because there is no communication outside the premises. Some homeowners do request a local system. More often than not, this choice revolves around the fear of false alarms. Sometimes, customers do not want to pay a monthly fee to have their systems monitored. Whatever the reason, this remains an option for customers, albeit not the most common option. The second option involves customers monitoring their own security systems. More often than not, this is done through a cellular dialer with interactive features. Our own cell dialer, powered by Alarm.com, offers these interactive services. These features allow a system to communicate directly with a user’s cell phone. Interactive services also allow customer to arm and disarm their security systems using their smartphone. In this case, a security system does not create a police response without the homeowner’s action. However, a homeowner has the option to call the authorities upon receiving a notification. A self-monitored security system is certainly more secure than a local system. Unfortunately, homeowners cannot always make a phone call right away after receiving an alert. For example, a burglary or fire may happen while a vacationing homeowner sleeps in a hotel. Nobody will know about this alarm until the next morning. Another scenario that would pose an issue for a self-monitored system would be a home invasion where the homeowner is unable to call the authorities by an intruder. For this reason, we do not advise customers to monitor their systems entirely on their own. A professionally monitored security system ensures that help is only a phone call away — and that someone will always be there to make that call. CC Image courtesy of Diana Verisova on Wikimedia Commons. Having your security system professionally monitored is the third and most secure option. 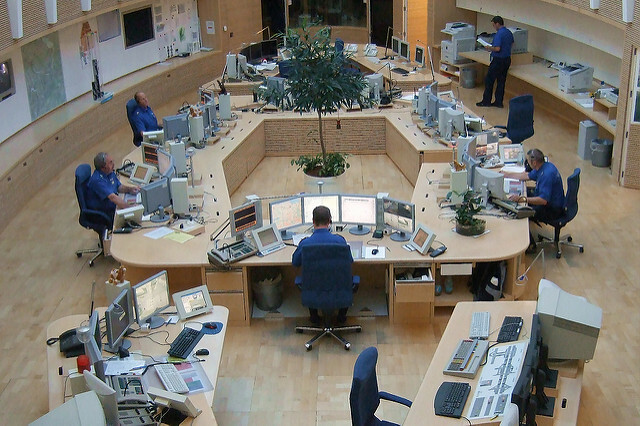 If you have your system monitored professionally, your security company handles the monitoring. Not all security system monitoring services are created equally. Some smaller companies use their own office to monitor their customers’ alarms. This can lead to issues when multiple security systems send alarm signals at the same time. Response time is often slow, making this a poor option. Most alarm companies use an offsite call center, known as a “central station,” to monitor their customers’ security systems. Our central station is UL-listed to provide the quickest, safest and most professional monitoring of our customers’ alarm systems. The fact that some central stations do not have this listing surprises many of our customers. Before awarding this independent certification, the Underwriter’s Laboratory tests the central station for quick, knowledgeable responses to alarm events. The UL also ensures that the central station uses modern equipment and proper training methods. Having your security system monitored professionally does not exclude you from using the same type of cell dialer you would use to self-monitor a burglar alarm. In fact, we recommend using this dialer and professional monitoring together. Doing so ensures a fast response by the proper authorities in the case of an emergency. It also provides you constant control of and interaction with your security system. What Benefits Does a Monitored Security System Provide? The biggest benefit to a monitored security system is additional safety and security. As we discussed, having your system professionally monitored adds the greatest amount of extra security. There are also a couple of financial benefits to a monitored alarm system. Although people associate monitoring with a monthly fee, this fee can be offset completely (or even surpassed) by some unique features that monitoring provides. For starters, you will likely receive an insurance discount for having a professionally monitored security system. Adding fire protection to your system can bring an even greater discount. 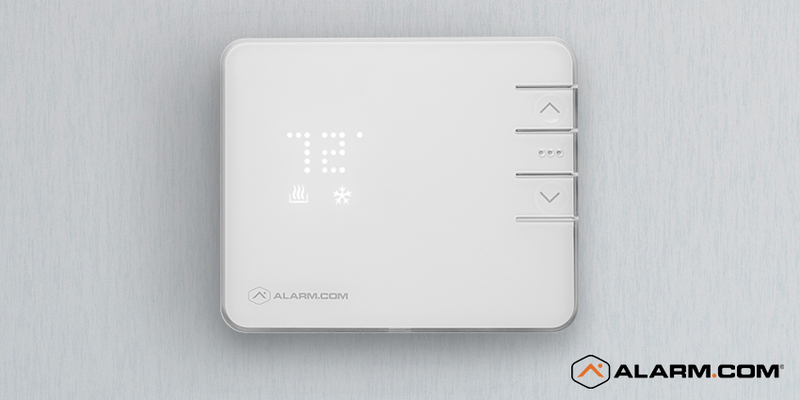 A smart thermostat, such as this one by Alarm.com, can save you money by lowering energy costs and allowing you to act quickly in the case of a home emergency. Finally, you could never use a local security system to track and control your home’s environment. Consider installing a cell dialer with a smart thermostat to take advantage of this feature. The ability to control a home’s temperature remotely often saves our customers more money every month than they spend to have the system monitored. That’s not the only way environmental control can save you money. A smart thermostat notification can alert you to a potential emergency. Low temperatures are often caused by factors such as a broken or frozen pipe. Receiving this alert can save thousands of dollars in repairs if acted upon quickly. How Can I Cut Down on False Alarms? The fear of false alarms steers more people away from professionally monitoring their security system than any other factor. Therefore, it is important to address this fear. This process begins with the choice of security equipment. Pets are one of the biggest causes of false alarms. In fact, many of our customers who added pets to their families stopped using their security systems for this very reason. Making small equipment changes can help solve this issue. For example, consider using glassbreak detectors or shock sensors to protect areas with windows, rather than motion detectors. Another important factor in false alarms is the condition of the equipment. As sensors get older, their sensitivity usually increases. This is often the opposite of what customers expect. It also isn’t necessarily a good thing. Motion detectors and smoke detectors, in particular, can get quite “touchy” as they remain installed past their recommended useful life. Make sure you maintain your sensors by keeping them clean and testing your system regularly. In addition, replacing sensors after as they reach the end of their useful life can help cut down on false alarms. If you already have a security system in place, adding monitoring can usually be done quite simply. If you do not have a security system yet, plan on having it monitored during the design stage. For one, it is often easier to set monitoring up upon installation than it is in the future. Whether you have questions about monitoring or security systems in general, do not hesitate to contact us. We can answer any questions you may have about your security system monitoring options. If you do not have a security system in place yet, we will be happy to provide a free site survey to design a system with the equipment and monitoring that will work best for you.